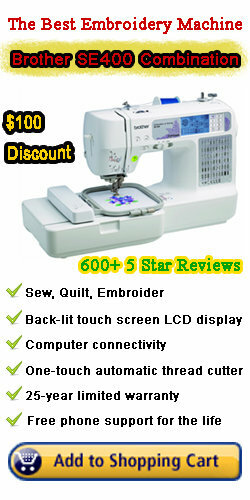 At BestEmbroideryMachineReview.com we are committed to helping you find the best embroidery machine that suits your needs. We aim to provide you with all the education you need around embroidery machines and the accessories to enable you to learn more and make informed choices. We will also share with you our opinion, commentary and personal favorites when it comes to choosing the best embroidery machines. Our site is relatively new but growing fast and we do appreciate your comments so feel free to contact.